Remember me telling y'all a few weeks ago that hubby stole my kitchen table? Remember that I don't like to furniture shop? It's very true - I wasn't just kidding. Admittedly when he first took it I started thinking about the possibilities that are out there. Then I thought about my pine table that has my kids writing imprinted into it from the days when they did homework here. And I love my red Pottery Barn chairs. So I took the man shopping and we got him a desk. That's for another day though. Just wanted to show you a few pics of the kitchen all put back together. We've been somewhat taken apart since dad and I painted last month. I put the plate rack back up minus the swag/berry thingy. It looks a little naked to me. Still might put it back. What do y'all think? This is my rug where I stand at the kitchen sink. I heart this rug! An overall shot of one corner. The next two shots are above the cabinets. Yes, I stood on the counter for y'all. That cute little cow plate came from Hobby Lobby and it was only $4 or $5.00. Here's a little shot of my chandelier and you can see the mistreatments back there. They still are not finished. I'm ashamed. This is the picture that I ordered from Art.com. Framed at Hobby Lobby. I love the picture! I'm happy with the way things are now. I'm really happy to have my table back. Still need to finish my curtains and tweak a few things. It's all a process, right? Beautiful kitchen. Yall did good! Love your kitchen. It turned out beautifully. It all looks so lovely. You have great taste. I have space above my cabinets and am in the mood to redo what I have up there. May have to use some of your ideas! Don't you just love art.com. Stacey! What a fabulous Kitchen and eating area. I love the colors! What a seasoned blogger you are standing on counters to give us all a closer look of your goodies!! You are so funny! I like the memories a table tells too! No worries on not finishing your curtains...I even like the plate rack simplified. Ok now, love the print! Art.com huh? ...never been there. Did you get snow? We have snow...lots and it's still coming down. It's hard being a southern girl up north come spring time! OH...glad you didn't fall when taking the photo in the kitchen lol...love the plates on the counter. P.S. Hope your sweet Fluffy comes home soon. I can't let my Max cat out here because even though I live very much in an urban/city area, we have coyotes all over Metro Atlanta and their favorite food is cat. :-( And thanks for suggesting folks adopt from the shelter...great suggestion! Like I said before Stacey, in my book you are very talented in decorating and design. I think your kitchen is so warm, inviting and the colors are beautiful! I really like the little lamp. Stacey, your kitchen is so pretty...your cabinetry is beautiful too. I like all of the choices you've made in there! I'm glad you got your table back too. Is Fluffy still missing? I hope he comes home soon. Your kitchen is just gorgeous! Love the white cabinets. I had white ones at my former house and still miss them. You have incredible style. What a great job! It must be in the air! My sister just redid her kitchen....I am planning on doing mine (just need to get myself together) and I am noticing lots of bloggers doing their's! It must be Spring!! Great kitchen, Stacey! I love your rug! Love all of the red accents. What color did you paint your kitchen again? I am going to repaint ours soon. Your color is such a great one! Glad you got your table back. I know just what you are saying about those sweet marks on your table. I remember when we first bought our table and a few months later one of the kids put a nick in it. I about died! I called my Mom just a fussin' and she just laughed at me. She shared with me that when she gets lonely for us three kids....she just sits at the table and has a cup of coffee and looks at all of our memories we made on that table,sigh. It takes her back... it brought me to tears and made me love my table all the more. Have a great one my friend! Love your kitchen; how pretty. I don't think mine's ever been that clean and tidy. You have decorated it so cute! Your kitchen is cute! Instead of a berry swag how about a coat of paint on the plate rack? Maybe a bold color that would make it pop against the white wall? Just an idea. ps. Thanks for stopping by my blog and for the lovely comment you left. The cabinets are actually a very dark grey. I love your kitchen - it's so cozy and pretty! I love this post, your kitchen looks fabulous!! and those chairs are gorgeous gorgeous!! I *gasped* when I saw that adorable little lamp too, how sweet is that!!?! Everything looks fabulous sweetie! I just love everything you have done here. Those red chairs..wow. 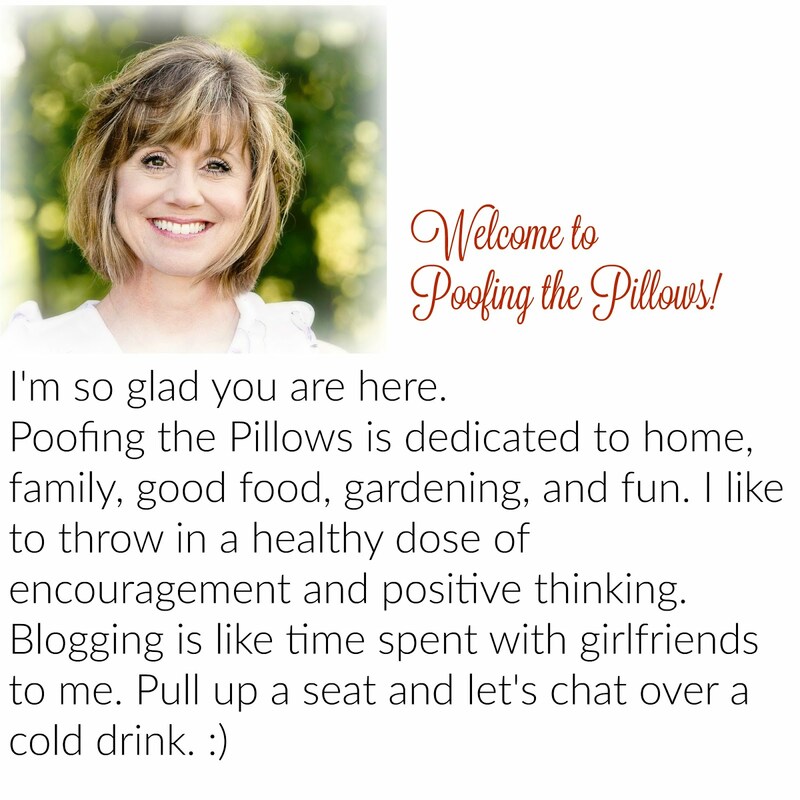 You have a great blog, and I am going to get caught up reading it. Thanks so much for visiting me. Don't be a stranger! Such a pretty kitchen. And so neat! Wish I could mine so neat and tidy. Glad you have your table back! OOOH Stacey, I am sooo glad that you showed us some of the kitchen...I have been on pins and needles here waiting to see it! I do love that rug, but I covet that little lamp shade every time I see it... ;) I can't wait to see more...we will see more...right? So sorry to read about your missing kitty. Hopefully she is home by now. Saw your comment on Nancy's blog about Window Live Wire. It is very easy to use, took about 15 minutes to learn. I love your kitchen! All of the wonderful details. That oregano sign is adorable and I love your rug too! Absolutely it's a process! I am in love with those red chairs. I love red and white, so love your plates and rack. The thing I am thinking when I see it is: it needs some sort of backdrop. As the rack is white and I think so is the wall. Have you thought of either painting that wall, or the plate rack? Or perhaps put something colorful behind it? I don't know what: hemmed fabric? A piece of quilted fabric from Hobby Lobby? Just a thought. I love your kitchen! The touches of red make it look so warm and inviting. I especially like your little rooster lamp with the plates. And thank you for climbing up on the counter to get that shot of the cow plate. I love it, too! I sincerely appreciate the comments you leave for me at Southern Lagniappe. Thank you for taking the time to visit me. I heart your rug and lamp!!!!!! I love the table and chairs and I love the "stuff" above your cabinets...too cute! Your kitchen is awesome! WOW! I am LOVIN' your new kitchen! It is beautiful, Stacey!!!! Hi there Stacey ~ Gorgeous! I love that rug too....I love animal print with florals. Wonderful job sister!